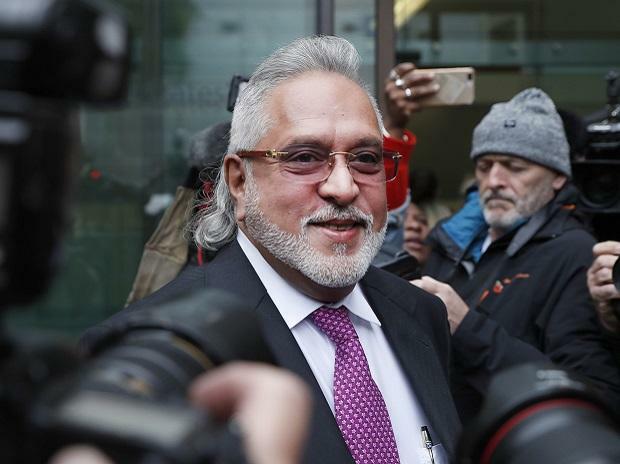 Embattled liquor baron Vijay Mallya, wanted in India on alleged fraud and money laundering charges amounting to an estimated Rs 9,000 crores, has filed his application in the UK High Court, seeking permission to appeal against an extradition order signed by the British Home Secretary. The 63-year-old businessman, who remains on bail on an extradition warrant in the UK, made the application in the Administrative Court division of the High Court on Thursday, 10 days after Home Secretary Sajid Javid signed off on the order triggering a 14-day window for his appeal application. The application has been sent for a judge on papers decision, which is expected any time between two to four weeks, a UK court representative said. A judge on papers decision will involve a High Court judge determining the merits of the application and if it is accepted, the case will proceed to a substantive hearing in the next few months' time. In the event that Mallya's application is rejected at this stage, he will have the option to submit a renewal form. The renewal process will lead to a 30-minute oral hearing during which Mallya's legal team and the Crown Prosecution Service (CPS) - on behalf of the Indian government - will renew their respective claims for and against an appeal for a judge to determine if it can proceed to a full hearing. The process, to be heard in the Royal Courts of Justice in London, could take months as the listing of a hearing will depend on the availability of judges and other factors. Following the outcome at the High Court level, both sides could apply for the right to appeal to the Supreme Court, which would involve at least another six weeks. However, that process is more complex as the UK High Court must certify that the appeal involves a point of law of general public importance, and either the High Court or the Supreme Court gives leave for the appeal to be made. Mallya and his legal team have not made a renewed comment in relation to the appeal but soon after the UK home secretary had signed off on the Westminster Magistrates' Court order in favour of extradition on February 4, the businessman had taken to social media to confirm his plans to seek an appeal. After the decision was handed down on December 10, 2018 by the Westminster Magistrates Court, I stated my intention to appeal. I could not initiate the appeal process before a decision by the Home Secretary. Now I will initiate the appeal process, he said in a Twitter statement earlier this month. The former boss of the now-defunct Kingfisher Airlines took to Twitter again this week to call on Prime Minister Modi to accept his settlement offer in relation to the airline's loan default. I respectfully ask why the Prime Minister is not instructing his Banks to take the money I have put on the table so he can at least claim credit for full recovery of public funds lent to Kingfisher, he said, adding that his offer to the Karnataka High Court should not be dismissed as frivolous because it is a perfectly tangible, sincere, honest and readily achievable offer. In her verdict at the end of a year-long extradition trial in December last year, Judge Emma Arbuthnot had ruled that the flashy billionaire had a case to answer in the Indian courts. India and the UK have an Extradition Treaty signed in 1992 and in force since November 1993. So far only one successful extradition has taken place from the UK to India under the treaty - that of Samirbhai Vinubhai Patel, who was sent back to India in 2016 to face trial in connection with his involvement in the post-Godhra riots of 2002.